Hi! Hope everyone had a great weekend! I had a nice weekend :) Here is my take on this weekFreshly Made Sketcheschallenge by Linda Suarez. I felt I could have done a much better design than this... but I was a little short on time to do my craft work this week (thanks to my little one!). So, I decided to do a simple layering technique using some pattern papers for my card. 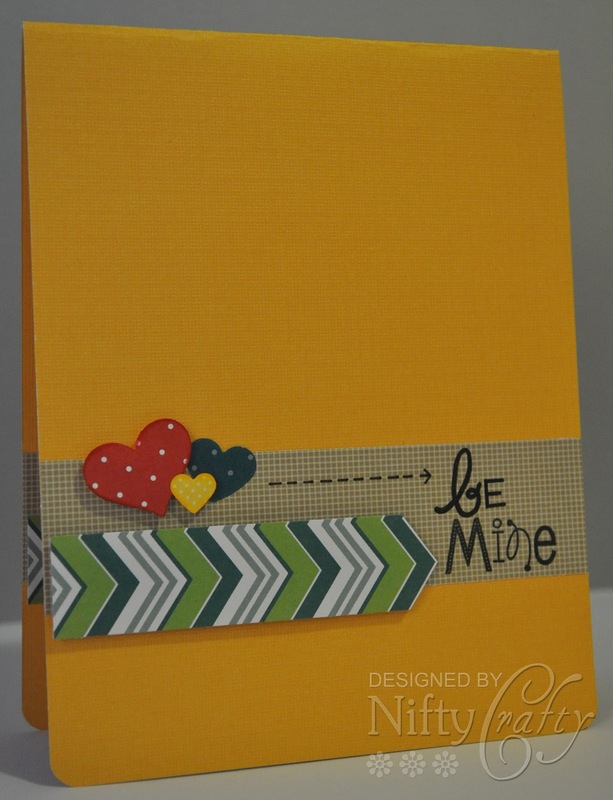 To start of with, I chose a textured card base in yellow and to layer the card I have used some contrasting pattern papers. Then I punched three different sizes of hearts out of polka dot patterned papers and used them as an embellishment. These heart shape punches are my favourite and most often used on my cards. They are super cute and neat! I love this sentiment as the font type looks kinda funky... isn't it? 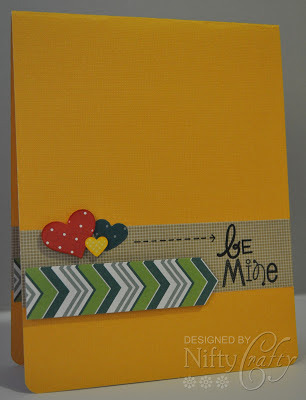 I really enjoyed layering these pretty pattern papers on my card. I designed the inside card using the same pattern papers... it's exactly the same as the front design but without the sentiment.